Even after testing out multiple golf balls and writing reviews on them here, when I decided to pick a golf ball to use this season, I realized I need a system to choose the right golf ball for my game. So I created this guide to help you do the same thing. There are way too many golf ball options out there and without a game plan in pace to narrow it down and evaluate them, then you’re going to waste a lot of money and might still end up with the wrong one. The best way to approach golf ball choice is to narrow down the options based on your skill level and specific needs and then pick up a couple different boxes to test them out. You can get started with our golf ball buying guide by CLICKING HERE. There are really four important factors you need to look at when choosing a golf ball. As much as most of us don’t want to admit it, price should play a big role in the ball that you purchase. A big thing to keep in mind is that the more expensive balls are NOT always better. 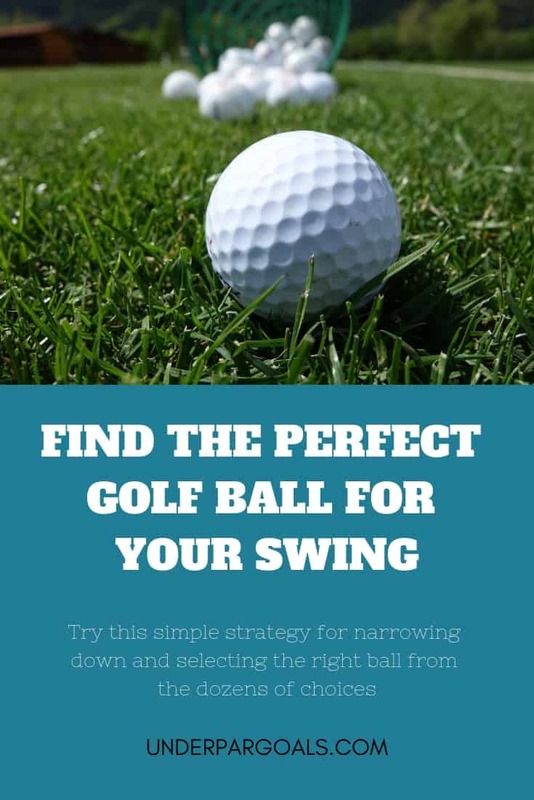 In fact, as we’ll get into below, the lower spin, less expensive balls are probably going to help your score if you’re having trouble keeping the ball on the fairway. Your golf ball budget should also go hand in hand with your skill level. For example, a scratch player who buys the high end golf balls is more likely to wear one out before they lose it. So that $40-$50 box of balls might last them a long time. On the other hand, a 20 handicapper could buy a $15 box of golf balls and still end up spending more on balls per round. The lesson there is to stay within your budget and as you improve your game, then that same budget will let you afford better golf balls. In addition, as you improve, you’ll be better able to take advantage of the soft feel and spin characteristics of the higher end balls. Think of it like this. If your goal is to get better, then saving money on golf balls and playing more rounds per year will most likely yeild better results. When you are good enough to play a round (or two) without losing a ball…then you’ll be able to afford the more high end golf balls on your same budget. Think about it as incentive to improve! Feel is mostly a personal preference thing. It’s hard to tell you what feel you need or what feel is right for you. The important thing here is that you feel confident when hitting the golf ball and feel has a lot to do with that confidence. What I can do is give you a framework for interpreting feel. I think it comes down to these three aspects of your game. Feel is probably least important in the full swing. Most full swing shots are controlled by varying the setup and then taking a full swing. In comparison, short game shots and putts are all about partial swings and being in precise control of varying distances. Because of this, the feel of the ball becomes somewhat less important in actual shotmaking. However, many players do have a preference towards a harder or softer feel in their full swing shots. This may not directly affect your ability to make the shot, but it can affect your confidence. This is where ball feel comes into play the most. There is no right “feel” for hitting short game shots. I think the majority of better players prefer a softer feel around the greens, but you need to get out there and try a few options out to see what you like. Like chipping and pitching the ball, all putts require some degree of feel to control them. So the feel of a golf ball is also important once you get on the green. Many experts say that when evaluating whether a ball is right for you, it can be a good idea to start on the green by putting all the options. After that, you can eliminate right away the ones that you don’t like on the green. I might vary that a little because I think short game shots rely more on the golf ball than putts, but you should do what you are most comfortable with. Finding the right compression is one of the easier aspects of choosing a golf ball, especially if you know your average swing speed with your driver. In general, players with higher swing speeds will get more distance out of a ball with a higher compression rating and players will slower swing speeds will get better distance from a ball with a lower compression rating. 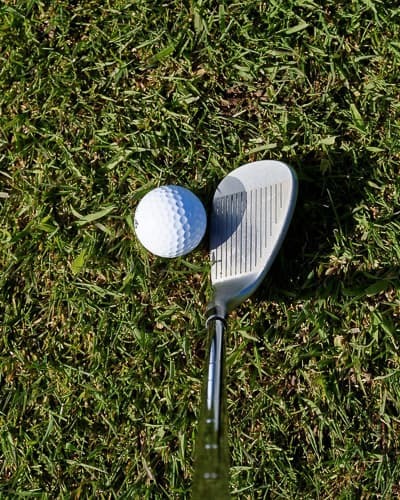 If the ball has a compression rating that is too high for you to compress with your swing speed, then you are not getting the “rebound” effect off the club face that imparts a lot of energy (speed) to the ball. This will result in shorter drives. On the other hand if you select a ball that you can compress well, then you’ll be able to get the most out of your swing. Golf ball spin is a double edged sword. When you want it, you can never get enough and when you don’t want it, you always seem to get too much. Spin is very easy to measure if you have access to the right equipment but impossible if you dont. A good launch monitor will tell you everything you need to know and when you have been able to narrow your ball selection down to just a few options, it is time to get on a launch monitor and pinpoint the ball that gives you the best results. Less is better here. Backspin on a drive causes the ball to baloon up high and fall shorter. Low spin helps to promote a trajectory that sails through the air and stays up longer. A lot of players don’t consider iron spin that much. It is important to srike a balance here. Too much spin on an iron shot and you’ll get the same ballooning effect as you would with a driver. That makes distances less consistent and also makes playing into the wind a nightmare. On the other hand, too little spin and you won’t be able to get the ball to stop on the green. Generally speaking…more is better here. Often your ball choice will come down to deciding which is a bigger priority…more distance off the tee or more control around the greens. So there are the four factors that you should take into consideration when selecting a golf ball. Ultimately, though, the best way to land on a ball that is perfect for you is to try a few out. Let me know in the comments below what your experiences are picking out a ball this golf season and if you have any questions.